158 medical appointments. 4 major surgeries. 326 sessions of speech therapy. 4 sets of ear tubes. Kids like Joseph have long journeys ahead of them. They are counting on caring people like you to help them receive the care they need to restore their brightest smile! Smile Oregon is committed to providing the financial resources to kids who otherwise would not have necessary and timely coordinated treatments to fully restore their smiles. 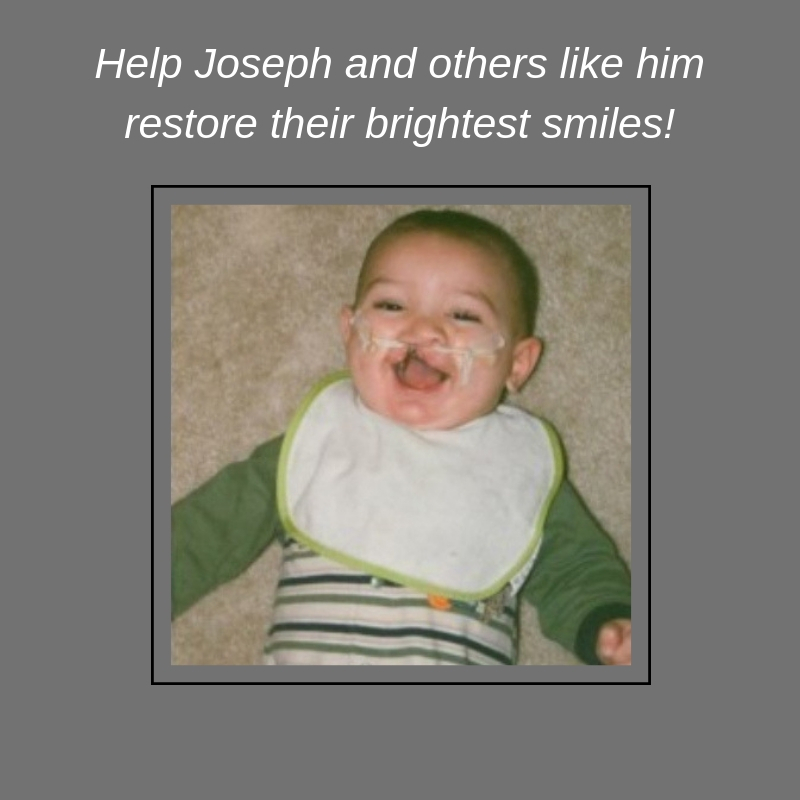 Just like Joseph, each year 100 babies are born with a cleft or craniofacial condition right here in Oregon. You can contribute to the coordinated care of local children, ensuring their brightest smile with your $40 gift! For estate, property, and vehicle donations, please email info@smileoregon.org for assistance.